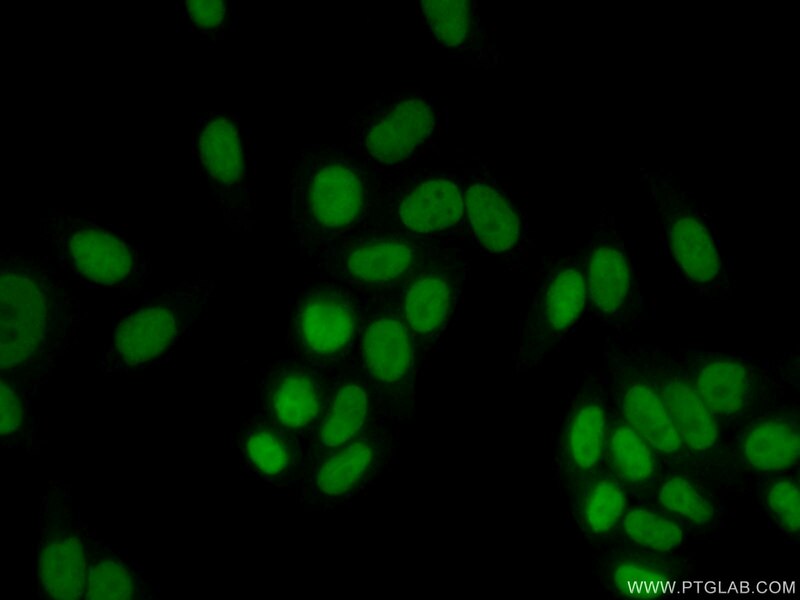 IP Result of anti-RAD1 (IP:11726-2-AP, 3ug; Detection:11726-2-AP 1:300) with HeLa cells lysate 3200ug. 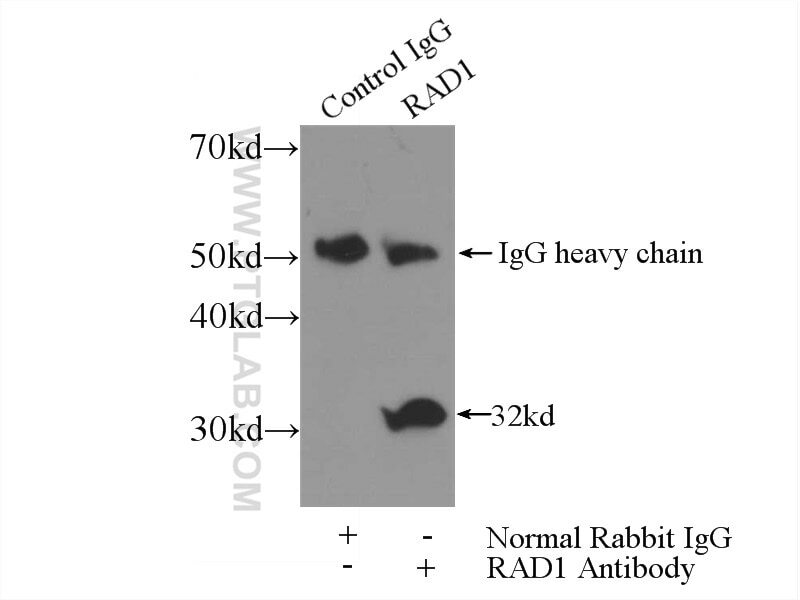 RAD1 is also named as REC1,hRAD1. 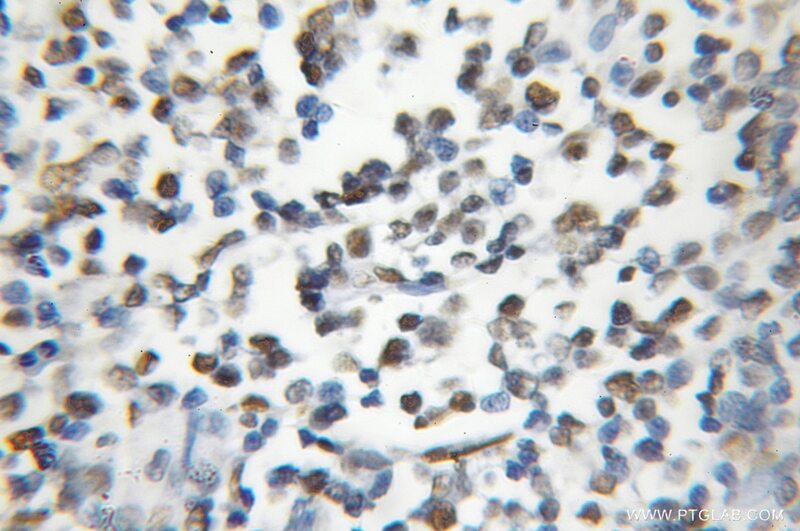 The human RAD1 and HUS1 proteins associate in a complex that interacts with a highly modified form of RAD9. They concluded that these 3 proteins are central components of a DNA damage-responsive protein complex in human cells.It has 3 isoforms produced by alternative splicing. The rad1 gene in Rainbow Trout (Oncorhynchus mykiss) is highly conserved and may express proteins from non-canonical spliced isoforms.